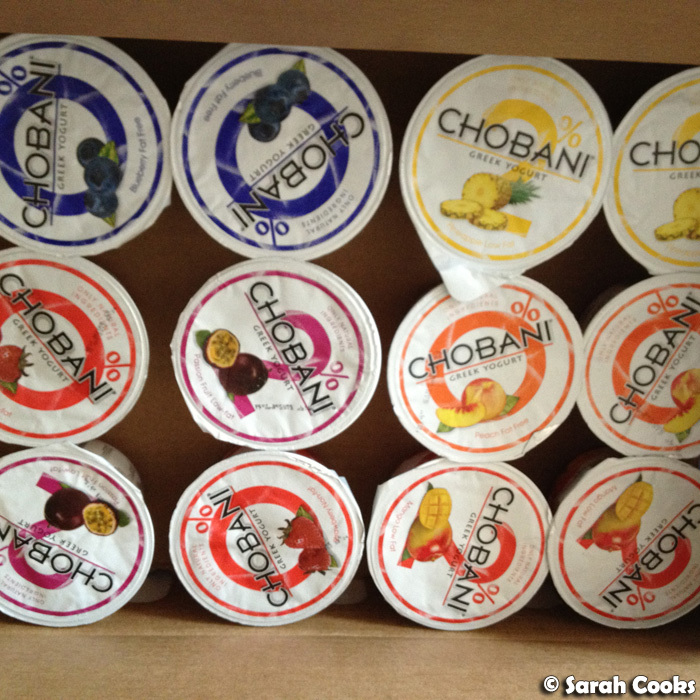 Last month I was given some yogurt from the good people at Chobani. And when I say "some yogurt", I actually mean a LOT of yogurt! When I accepted the sample, I thought I'd get a couple of tubs, but what I actually got was a massive carton of their fruit yogurts. (These arrived on the same day that those BelVita breakfast biscuits did - it was a big day of parcels!) They included some recipes in the package, so I asked if they'd send me some of their plain yogurt so that I could try cooking with it - and here's where things got interesting. A few days later, almost four kilos of yogurt arrived at my door. There was a lot of cooking to be done! 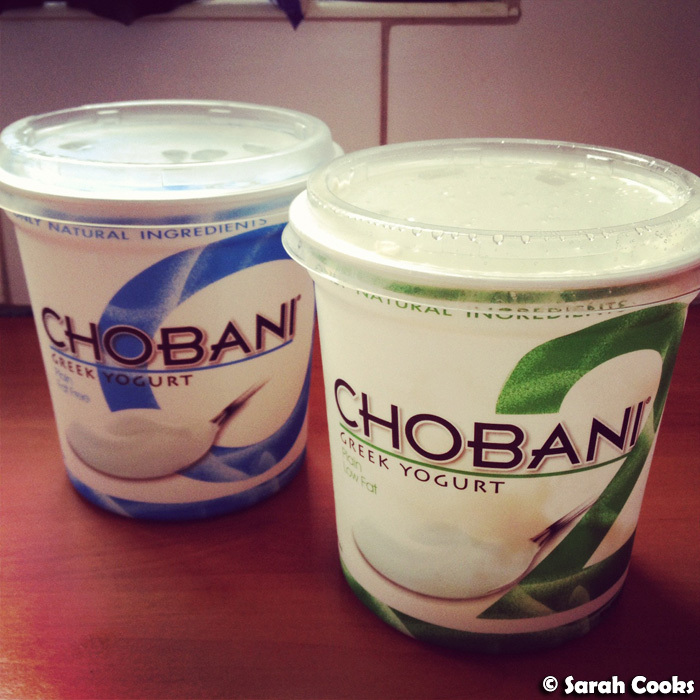 I liked the fact that the yogurt is both low fat and creamy without containing any gelatin. However, I found that the thick, almost savoury, strained yogurt didn't meld too well with the fruit layer. I don't think I'd buy the fruit flavours myself, but would be much more likely to buy a big tub of the plain yogurt, and add fresh fruits, nuts and / or honey. Today I want to share all the different things I made with the yogurt. The below photos are all Instagrammed, hence the grainy, retro square pics! 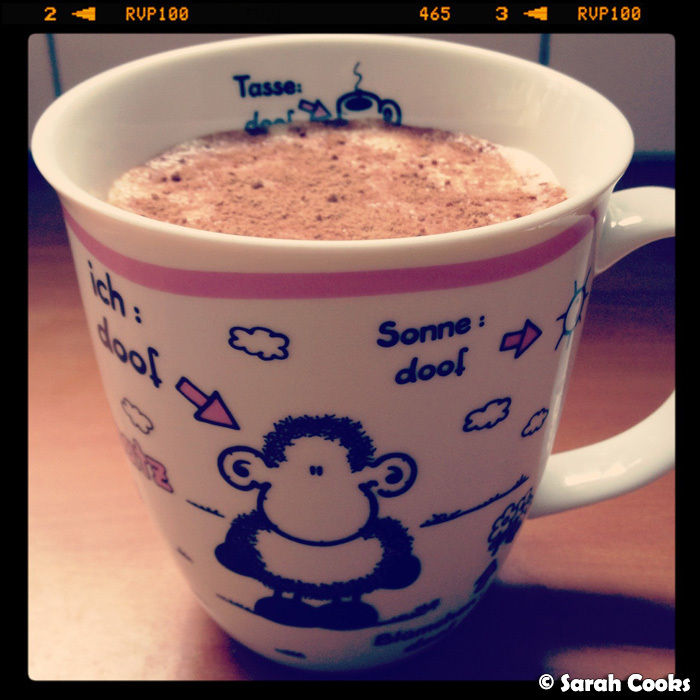 My handle is sarahcooksblog if you wanna follow me! These are little meat-filled dumplings, much like wontons or tortellini. There's yogurt in the dough (which I made from scratch, wahey!) and in the filling, and it's served with a little yogurt on the side too. 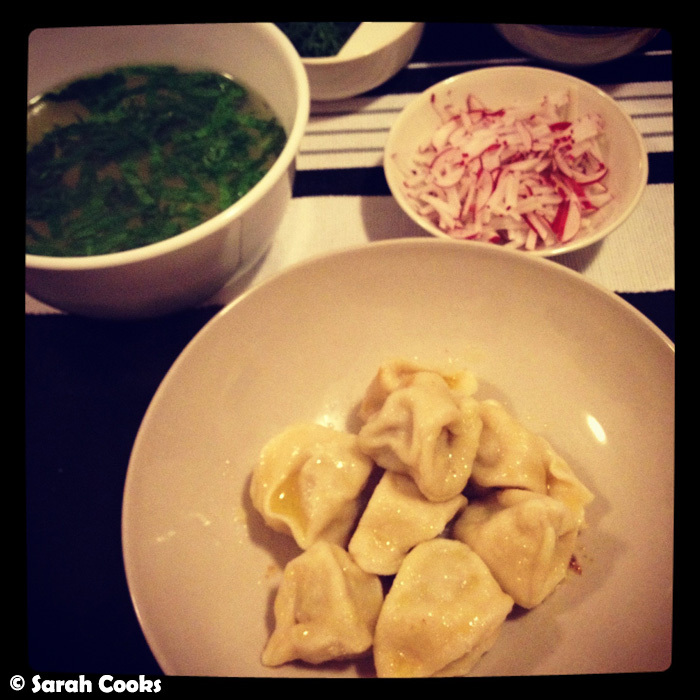 I followed the recipe's suggestion of serving the pelmeni with burnt butter, finely chopped radish, chives and dill, with a bowl of clear chicken broth on the side. Super tasty! I made this lemon yogurt cake to bring to a party. 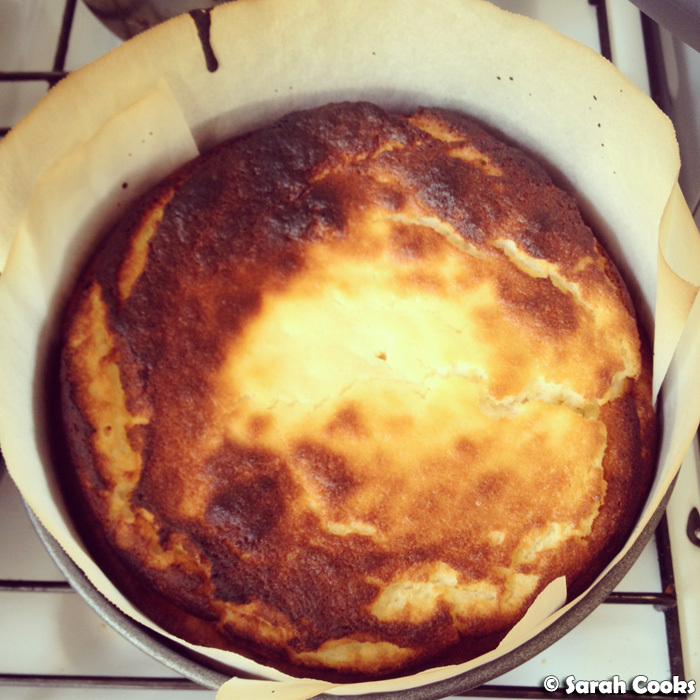 I got the recipe from Neil Perry's Good Food, but it's originally a Claudia Roden recipe - a very lemony, light, moussy cake. 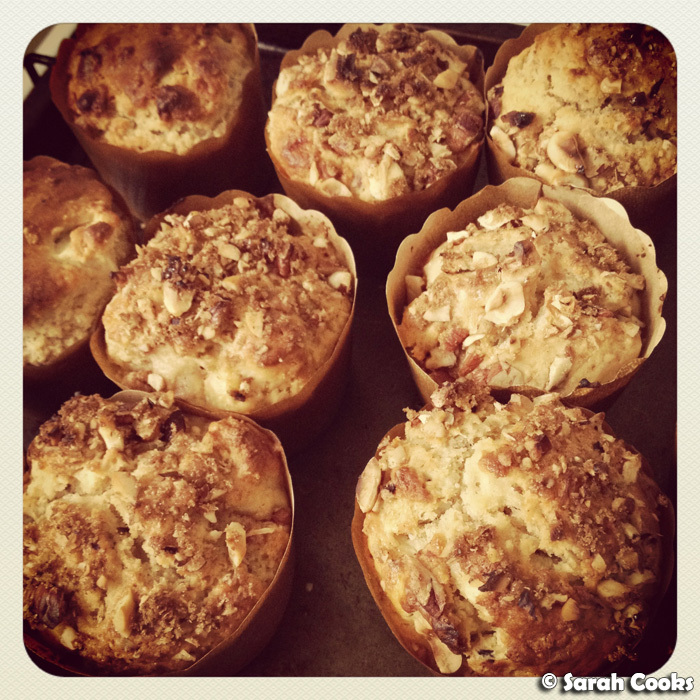 I also made some apple-nut-yogurt muffins, which turned out really tender from the acid in the yogurt. I'm gonna blog these in more detail soon (with the recipe too!). 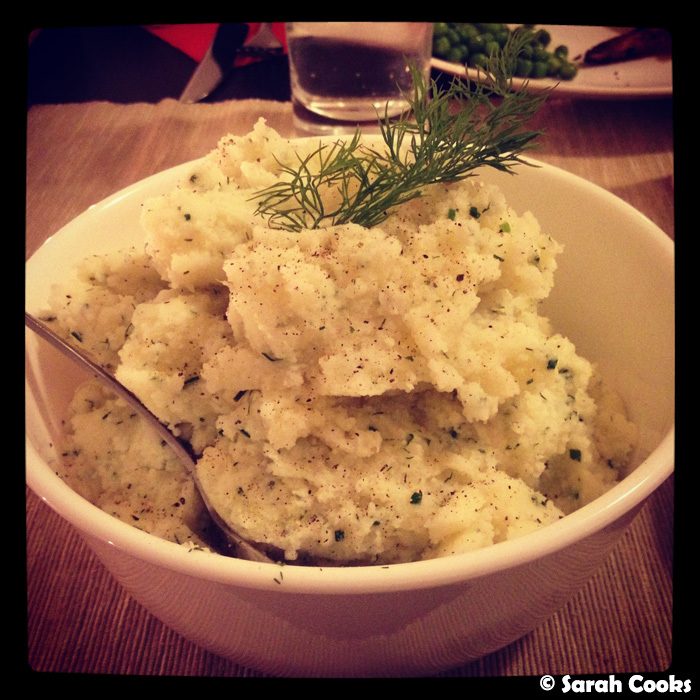 These herby mashed potatoes actually turned out to be the only thing I made from the recipes Chobani gave me, and it was awesome! To make these, you mash up some potatoes with a little vegetable stock, some yogurt, butter, chives and dill. I didn't have any vegetable stock lying around, so when I boiled the potatoes, I added some powdered vegetable stock to the boiling water, which worked well. 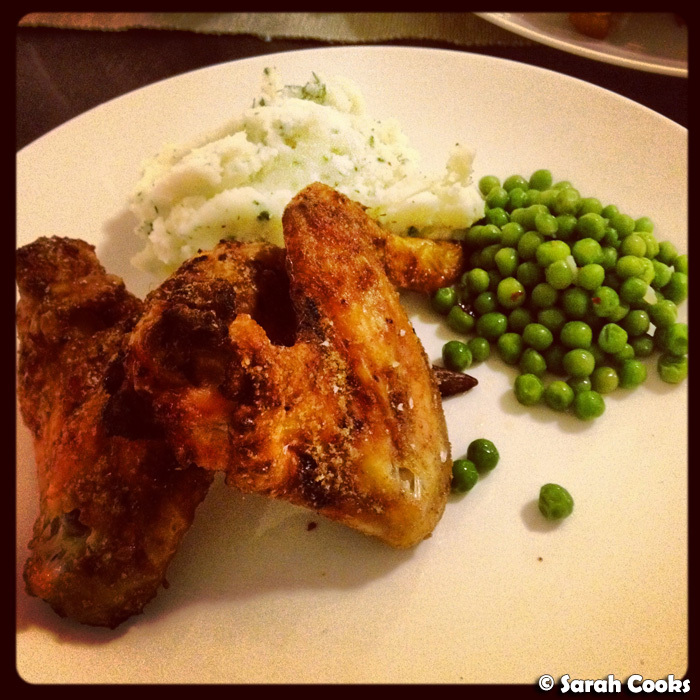 I served the mash with peas and some crispy spicy chicken wings. 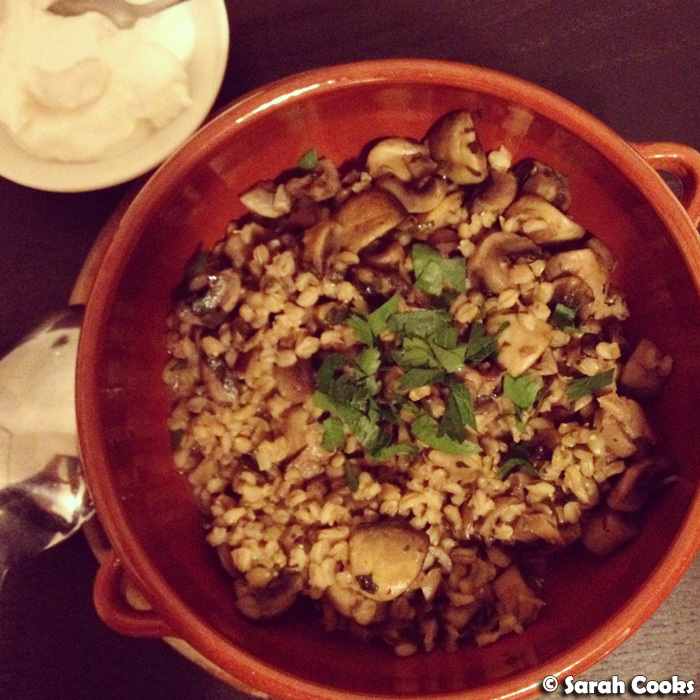 It was a really easy dinner that felt surprisingly special! A few nights later I made some yogurt flatbreads with mushroom ragout, a Yotam Ottolenghi recipe from Plenty. (Recipe here). You'll see that my flatbreads are quite a bit thicker than in the picture on Yotam's column. We bought an American version of Plenty by mistake, and in the flatbread recipe, it asks you to roll them: "1 inch thick". It was only afterwards that I double checked the original metric measurements online, which said to roll them out "2 millimetres thick". D'oh! This leads me to wonder how many other errors there were in the conversion from metric to imperial... eek. Either way, the flatbreads (or "thickbreads") were fantastic. 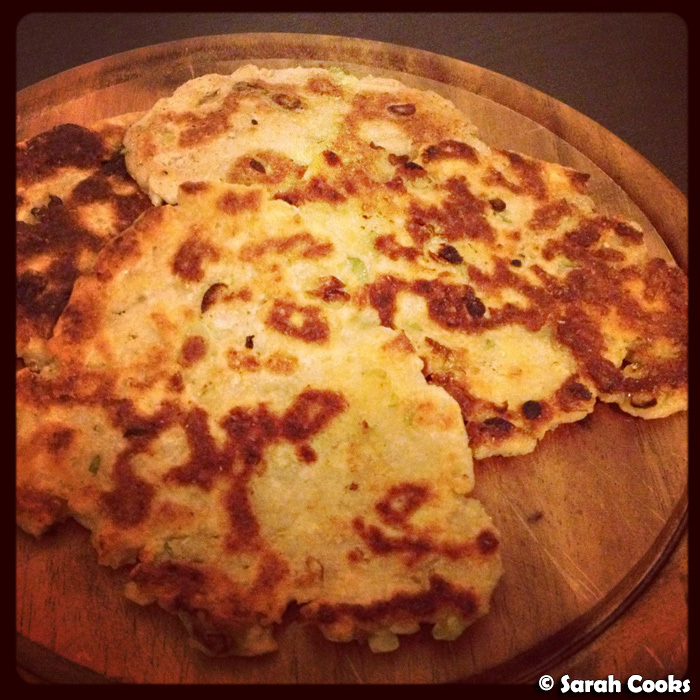 I used spring onions in the flatbreads instead of coriander, which made them taste like those Chinese spring onion pancakes. So good! I thought the mushroom ragout was great too, being filling and substantial but not stodgy or heavy. Smoothies are hardly revolutionary, I know, but I need to remind myself that bananas don't always have to become banana bread or banana scones! I also had a yogurt-dinner party (seriously) to use up the remainder of the yogurt, making labneh and a bunch of other cool bits and pieces, but I'm going to save those for another post. Wow, that's a lot of yogurt! wow your fridge must be huge to have all that yogurt! and i don't think chobani is available where I'm at, which is sad because we only have one brand of greek yogurt to buy :/ all that fruit flavors look awesome though, and am really impressed with how you used yogurt in so many different things! My mouth is watering. All this food looks delicious. Since I found Chobani at a local supermarket I have become quite addicted to it. Ohhh my goodness I never knew that there was so much you could do with yogurt, both sweet and savoury! You really are a great cook. It's great that you were really honest about why you prefer the original to the fruity yogurts, makes sense to me. I'd still be keen to try them next time I see them at the supermarket!